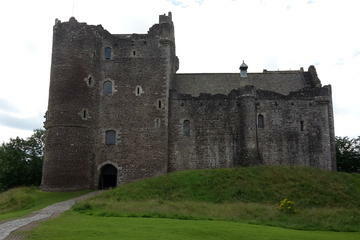 This tour allows you the opportunity to see a bit of everything, starting with a Glasgow panoramic tour, moving to a short stop in the Georgian city centre, then it’s into “Braveheart country”, with Stirling Castle, the battlefield of Bannockburn and The Wallace monument. After a rest stop and a visit to some Highland cattle, It’s into Rob Roy country and the National Park of “The Trossachs”. Back on the bus after lunch, you’ll head towards Loch Lomond and it’s “Bonnie, Bonnie Banks”. Leaving Loch Lomond behind, it’s back on the minibus as the tour head back towards Edinburgh.